A transaction governance structure (TGS) is a structure that mediates exchanges of goods or services among different agents or production stages (Williamson, 1979, 1981). According to transaction cost economics (TCEs), a selection of TGS for the trade of a particular product depends on the characteristics of the transaction, such as asset specificity, uncertainty, and frequency. This article argues that TCE alone is not sufficient to explain the selection of a TGS. Product complexity also plays an important role in explaining why a particular TGS is selected for a particular product. The construct of product complexity originated in the field of industrial marketing and is an important factor in the study of purchasing behaviors of buyers, decision-making processes of suppliers, and dynamic relations between buyers and suppliers. 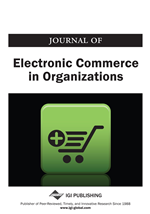 This study integrates industrial marketing with TCE and examines the impact of product complexity on TGS in the context of banking.